The nuclear arms race was one of the most alarming features of the Cold War superpower competition between the United States and Soviet Union. Both sides rapidly expanded their nuclear stockpiles, but after two decades, each embarked on efforts to cut down its arsenal. Disarmament efforts picked up speed after the dissolution of the Soviet Union, but maintaining momentum and confidence in arms control between the United States and Russia has proved challenging. 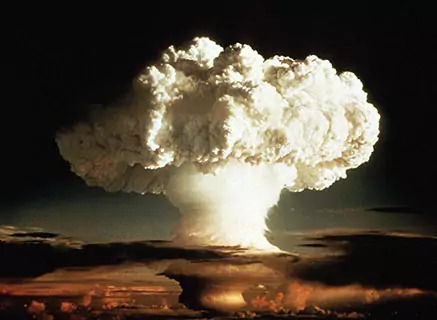 Four years after the United States dropped two atomic bombs on Japanese cities, the Soviet Union explodes its first nuclear weapon at a test range in Kazakhstan. That the Soviet Union obtained "the bomb" is not surprising, but the timing of the test is. 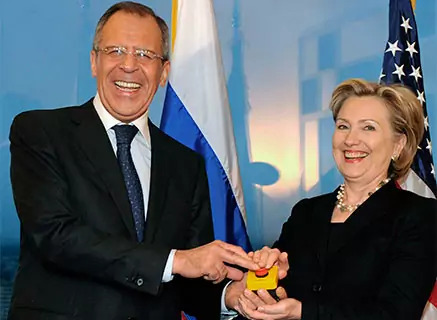 Most U.S. intelligence assessments at the time had concluded Moscow was at least three years away from obtaining the technology. Concern spreads that U.S. nuclear superiority is being challenged by Moscow, speeding the race to develop the next generation of nuclear weapons, known as thermonuclear, or hydrogen, bombs. On November 1, 1952, the United States tests the first of these weapons at Enewetak Atoll in the Marshall Islands in the so-called "Mike" test. 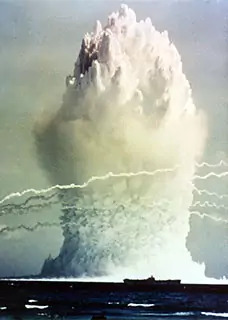 The resulting explosion yields a blast equivalent to ten million tons of TNT—roughly seven hundred times the force of the atomic bomb that decimated Hiroshima. 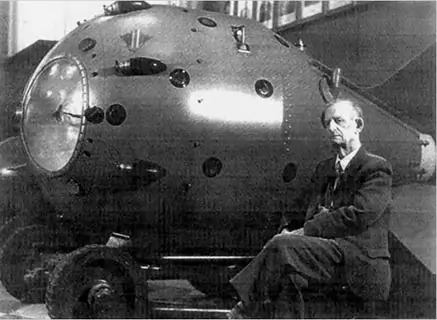 Moscow tests its first thermonuclear device in November 1955. 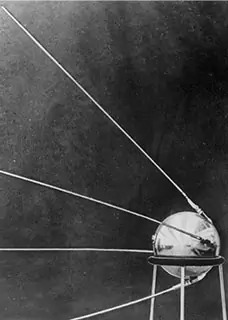 In October 1957, two months after testing the world's first intercontinental ballistic missile, the Soviet Union launches Sputnik 1, the first man-made satellite to be sent into space. The advances in technology, which were theoretically capable of delivering a nuclear weapon, startle the U.S. national security establishment, bolster Soviet prestige internationally, and feed paranoia in the U.S. political debate. Sputnik marks the start of the "space race," and the successive Mercury, Gemini, and Apollo space projects that culminated with the U.S. moon landing in 1969. But this era of space exploration also launches a new period of apprehension over fallout from nuclear testing. 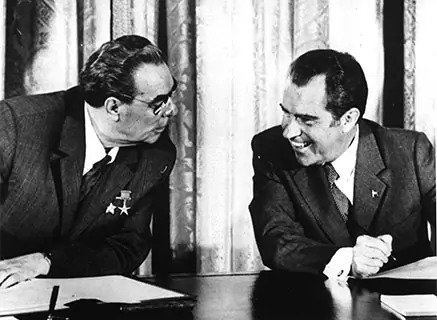 In 1958, Moscow calls for a U.S.-British-Soviet test moratorium; talks on a more lasting test ban begin in October of that year. In his 1953 Atoms for Peace speech to the UN General Assembly, U.S. president Dwight D. Eisenhower calls for the creation of an international atomic energy agency under the auspices of the United Nations. Governments would contribute fissile material to the agency, which would "devise methods whereby this fissionable material would be allocated to serve the peaceful pursuits of mankind," Eisenhower says. Four years later, the International Atomic Energy Agency (IAEA) is established in Vienna as a forum for international cooperation on civilian nuclear research. The IAEA's statute outlines a three-pillar mission: nuclear verification and security, safety, and technology transfer. 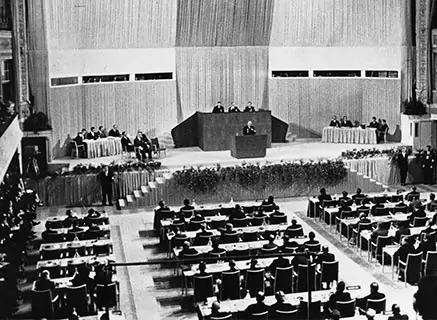 The first IAEA safeguards system is established in 1961. 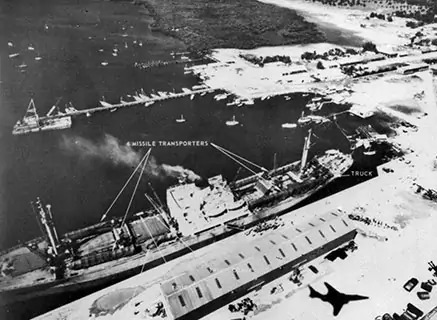 In October 1962, tensions spike when U.S. reconnaissance flights reveal Soviet missile bases taking shape in Cuba. President John F. Kennedy promises a "full retaliatory response" against the Soviet Union for a missile attack launched from Cuba on any country in the Western Hemisphere, and imposes a naval blockade on the island. After heated debates between high-level U.S. and Soviet officials, Moscow withdraws its missiles from Cuba. In exchange, Washington publicly promises that the United States will not invade Cuba and secretly agrees to phase out its Jupiter missiles near the Soviet border in Turkey. In August 1963, the United States joins the Soviet Union and United Kingdom in agreeing to ban nuclear explosions in the atmosphere, outer space, or under water, and places significant restrictions on detonating nuclear devices underground. The Limited Test Ban Treaty reflects concerns about the dangers of nuclear fallout. A high-speed "hotline" connecting the leaders of the Soviet and U.S. governments is established to mitigate the risk of accidental warfare. Cold War brinkmanship and the development of nuclear weapons by a growing number of states lead to calls for an international framework to prevent nuclear proliferation and promote disarmament. 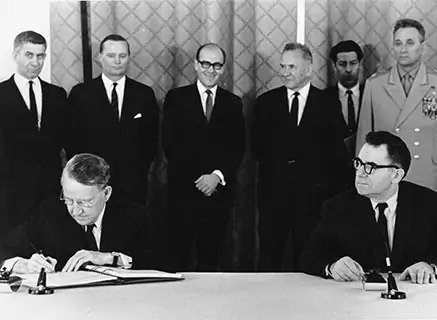 Discussions on a nonproliferation treaty began at the UN in 1959; after multiple rounds of drafts, the Nuclear Nonproliferation Treaty (NPT) is signed on July 1, 1968. 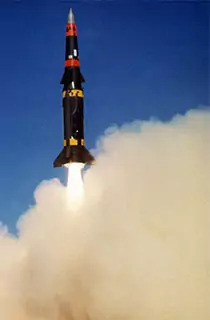 The measure recognizes the five existing nuclear-weapons states at the time—China, France, the Soviet Union, the United Kingdom, and the United States—and guarantees other signatories the right to civilian nuclear technology subject to IAEA safeguards, but prohibits them from acquiring nuclear weapons capabilities. The 1970s see a shift toward "détente," inaugurating an era of strategic nuclear arms limitations. The Strategic Arms Limitation Treaty (SALT) and the Anti-Ballistic Missile Treaty (ABM), negotiated as part of the SALT talks, herald this new period of cooperation. Yet rhetorical promises of a less volatile relationship are challenged by rising geopolitical tensions. Conflicting alliances during the 1973 Arab-Israeli War, or Yom Kippur War, draw the two powers to the brink of confrontation. Meanwhile, Washington's rapprochement with China stuns the Soviet leadership, whose ties to Mao's regime fell to a new low in 1969, when Soviet and Chinese troops clashed on the Amur River. In June 1979, the United States and the Soviet Union reach a SALT II agreement to reduce their production of some types of nuclear weapons. But in December, the Soviet Union invades Afghanistan, starting a nine-year-long war in which Soviet forces and Afghan communists battle the mujahideen resistance, which is backed by U.S. and Saudi funding and Pakistani logistical support. Following the Soviet invasion, U.S. president Jimmy Carter withdraws the SALT II treaty from the Senate, and the United States boycotts the 1980 Olympics in Moscow. 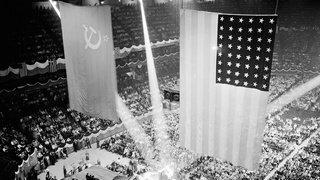 The Soviet Union retaliates by boycotting the 1984 Olympics in Los Angeles. 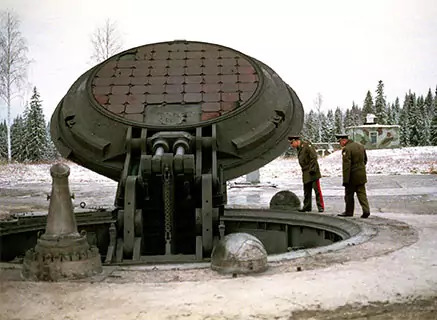 In November 1981, U.S. president Ronald Reagan presents the Soviet Union with a so-called zero option, in which all Soviet and U.S. intermediate-range nuclear missiles would be removed from Europe. This was followed by the Reagan administration's unveiling in June 1982 of the Strategic Arms Reduction Treaty, or START, which sought to shrink overall warhead counts and delivery vehicles to 6,000 and 1,600, respectively. 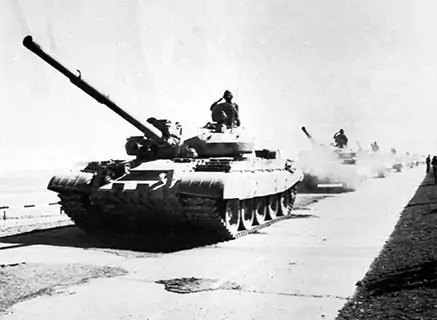 Some analysts see the treaty's early iterations as unfair to the Soviets because they would have required Moscow to make greater adjustments to its forces than Washington. Soviet concerns are heightened as the United States and NATO stage the Pershing II missile system in Western Europe. The system's range and accuracy would become a major factor in Moscow's decision to pursue the Intermediate-Range Nuclear Forces Treaty. 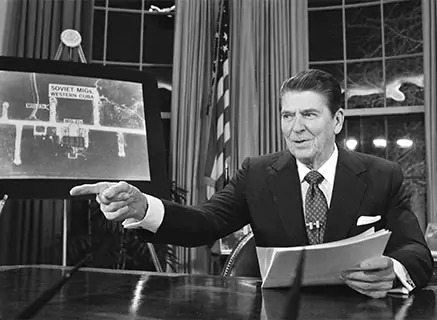 Accelerating a U.S. defense buildup that started in the final years of the Carter administration, Reagan announces a new "Strategic Defense Initiative" to create a space-based ballistic missile shield against Soviet nuclear attack. The program, dubbed "Star Wars" by some, prompts deep concern in Soviet military circles, where a growing technological gap with the West is felt acutely. 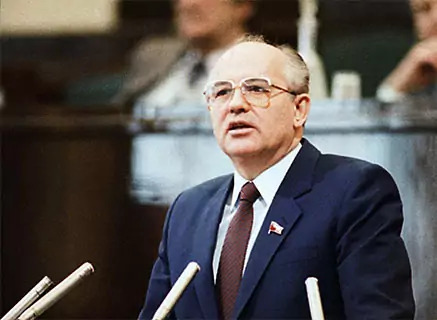 Mikhail Gorbachev becomes general secretary of the Soviet Communist Party in March 1985. He launches a series of reforms dubbed perestroika (economic restructuring) and glasnost (openness), which is marked by new press freedoms and public debate in the Soviet Union. U.S. officials, skeptical at first, eventually recognize Gorbachev as a transformative figure. In October 1986, Gorbachev and Reagan meet in one of the most extraordinary U.S.-Soviet summits ever. The two sides nearly agree to abolish their offensive nuclear weapons within ten years. The deal unravels over the question of missile defense testing, with the Soviets favoring a strict interpretation of the ABM treaty that confined research and development to laboratories and the United States arguing for a broad interpretation allowing the development and testing of space-based missile defense components. Despite their failure to reach an agreement at Reykjavik, the measures discussed are seen as paving the way for subsequent treaties. On December 8, 1987, Soviet leader Mikhail Gorbachev and U.S. president Ronald Reagan sign the Intermediate-Range Nuclear Forces Treaty (INF), agreeing to elimination of ground-launched, mid-range nuclear missiles (ranging from about 300 to 3,400 miles), including the modernized U.S. Pershing II and Soviet SS-20 missiles. 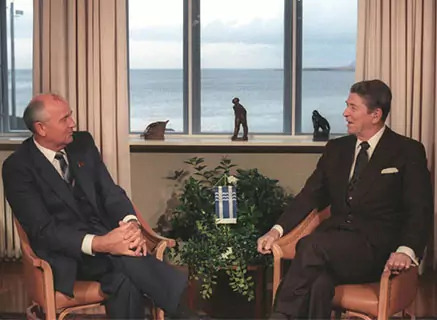 A breakthrough occurs when Gorbachev, in a shift from his Reykjavik negotiating posture, agrees to de-link the INF from broader strategic talks, which includes Soviet efforts to inhibit U.S. development of the Strategic Defense Initiative. The treaty is the first to reduce nuclear arms, as opposed to setting ceilings, and introduces comprehensive verification measures. 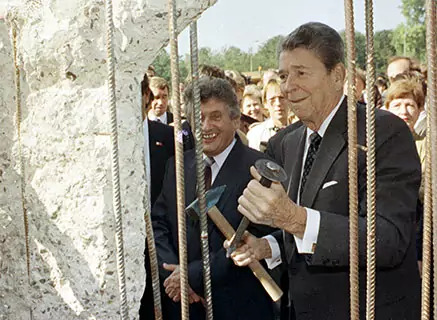 The fall of the Berlin Wall on November 9, 1989, marks the beginning of the end of the Cold War, which leads to rapid progress on disarmament efforts by the United States and the Soviet Union. On July 31, 1991, the Strategic Arms Reduction Treaty (START I) is signed by U.S. president George H.W. 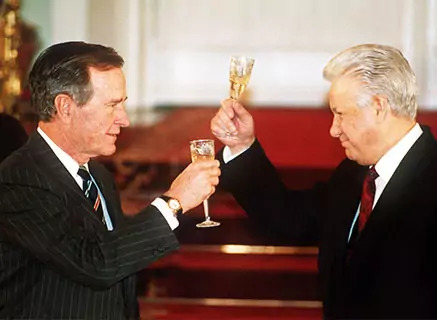 Bush and Soviet leader Mikhail Gorbachev; it enters into force on December 5, 1994. START limits the United States and Russia to approximately 6,000 warheads and 1,600 delivery vehicles each. The treaty is judged a success; both sides, which had more than 10,000 deployed warheads in 1990, will reduce their arsenals to well below 6,000 warheads by the time the treaty expires in December 2009. The U.S. Senate passes the Nunn-Lugar bill, which establishes the Cooperative Threat Reduction (CTR) program. 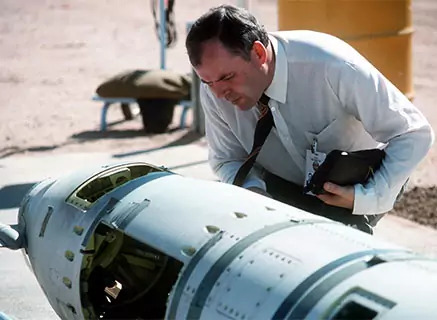 The program will provide financial and technical assistance to states of the former Soviet Union to secure and dismantle nuclear weapons and fissile material stockpiles; remove thousands of warheads from their territories; and employ nuclear scientists in civilian pursuits. Since 1991, the CTR program has received over $5.9 billion in annual defense appropriations. In May 1992, the former Soviet republics of Belarus, Kazakhstan, and Ukraine sign the Lisbon Protocol to the START I agreement, indicating their intention to join the NPT as non-nuclear-weapons states. The United States and the Russian Federation sign START II, which is ratified (with conditions) by the U.S. Congress in 1996. The Russian Duma ratifies the agreement in 2000, contingent on the United States upholding the Anti-Ballistic Missile Treaty. Building on START I, this latest arms-reduction effort aims to reduce the U.S. and Russian strategic force to 3,500 warheads. To redefine and strengthen aspects of the Anti-Ballistic Missile Treaty of 1972, U.S. president Bill Clinton and Russian president Boris Yeltsin ink a joint statement that delineates between strategic and nonstrategic (theater) missile defense systems. Russia ratifies the agreement in May 2000, but the measure is never sent to the U.S. Senate. 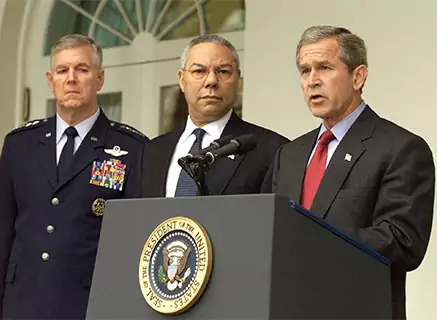 President George W. Bush's withdrawal from the ABM in June 2002 renders the agreement meaningless. Building on caveats worked into past arms control agreements, the United States and Russia propose the creation of a Joint Data Exchange Center and a Pre-Launch Notification System, systems designed to reduce the risk of an inadvertent ballistic missile launch based on false warning of an attack. The proposal was first floated in September 1998 by Russian president Boris Yeltsin, who suggested the center should be located "on Russian territory." Washington and Moscow sign a memorandum of agreement on the center two years after Yeltsin's proposal. The center has not yet been built but plans to break ground continue. 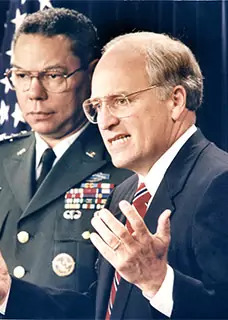 In June 2002, Washington withdraws from the Anti-Ballistic Missile Treaty. President George W. Bush argues the treaty limits U.S. ability to develop missile defenses against terrorists and rogue states. The move angers Russia, which increasingly views U.S. policy post-9/11 as unilateral. 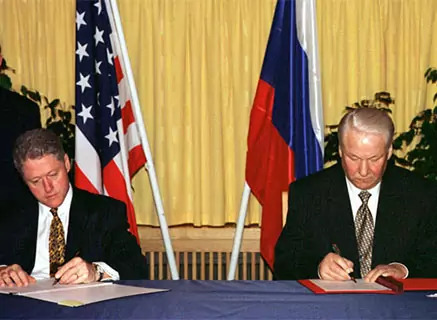 Still, in May 2002, Bush and Putin sign the Strategic Offensive Reductions Treaty, also known as the Moscow Treaty, promising to eliminate roughly two-thirds of the two countries' nuclear warheads over ten years. Congress approves the treaty, and it comes into force on June 1, 2003. Also in May, Bush and Putin release a joint declaration aimed at "strengthening confidence and increasing transparency in the area of missile defense." A U.S. plan to place anti-missile interceptors in Poland and the Czech Republic angers Moscow, while the Bush administration says the shield is needed to defend U.S. and European facilities against fast-developing Iranian capabilities. Russia sees the shield as a threat to its forces. 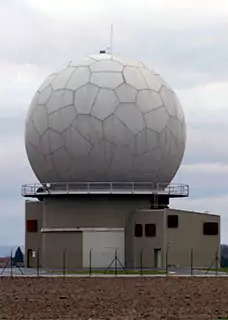 During G8 summit talks in Germany in June, Russian president Vladimir Putin proposes to jointly develop a missile shield based on radar facilities in southern Russia and Azerbaijan. The missile defense tensions come amid allegations of increasing Russian assistance to Iran's nuclear program. The new U.S. administration of Barack Obama calls for a "reset" in relations between Washington and Moscow to improve collaboration on a number of fronts. In July, Obama and his Russian counterpart, Dmitry Medvedev, agree on a framework that would cut their respective nuclear arsenals by up to one-third, to no more than 1,675 strategic warheads and 1,100 delivery vehicles. Both countries currently deploy more than 2,000 strategic nuclear warheads across a triad of land, sea, and air weapons. 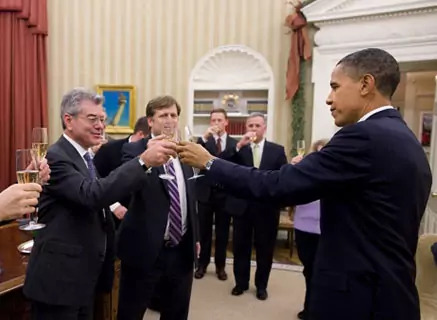 Also in July 2009, the two countries sign an agreement that enables U.S. military personnel and equipment to cross the Russian border to support coalition forces in Afghanistan. Building on improved U.S.-Russia ties, President Barack Obama announces the United States will alter the architecture of its European-based missile defense system and scratch plans to deploy a permanent architecture to the Czech Republic and Poland. The new focus will be to deploy missile systems onboard ships and, potentially, land. 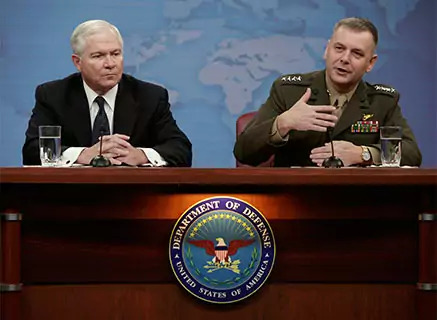 Russia had long protested the Bush administration's approach and argued the system could be turned into an offensive capability to target its own territory. Speculation surfaces that the scuttling is an attempt to convince Moscow to assist Washington in its efforts to counter Iran's nuclear ambition. Obama denies offering a quid pro quo, but says the revisions are necessary to protect the United States and its allies from the growing threat of Iran's short- to medium-range missiles. U.S. president Barack Obama and Russian president Dmitry Medvedev sign an arms reduction agreement in Prague, replacing the 1991 START I treaty that expired in December 2009. The so-called "New START Treaty" commits Washington and Moscow to limiting proliferation of strategic offensive arms. The package, which comes after extensive talks between the two leaders, sets a 30 percent reduction on deployed warheads and lower caps on deployed and non-deployed intercontinental ballistic missile launchers, submarine-launched ballistic missile launchers, and heavy bombers equipped for nuclear weapons. During the final days of the 2010 lame duck session, the U.S. Senate ratifies the New START Treaty in a decisive bipartisan vote. It is the first arms control agreement to be ratified by Congress since the 2002 Moscow Treaty. U.S. president Barack Obama hails Democrats and Republicans for coming together to approve the pact, which he calls "the most significant arms control agreement in nearly two decades." Russian president Dmitry Medvedev expresses hopes that the Russian Duma will also ratify the landmark agreement.